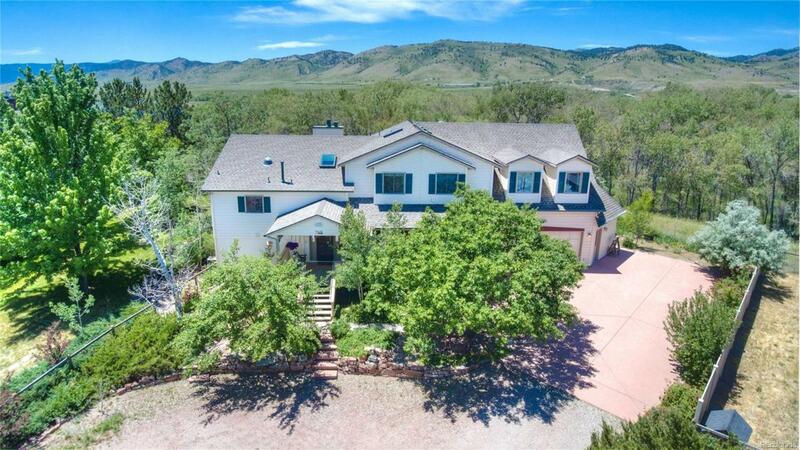 Priced to Sell!3 miles north of Boulderbut a world awaythis Lake Valley home sits on open space with majestic views of the Front Range & lakes. 3,850 sq ft, multiple bedrooms, baths, a mother-in-law apartment (offices/separate wing), hardwood floors, vaulted ceilings. Professionally landscaped, this is a REAL home with large yard, full-grown trees (enjoy a multi-color Fall), perennial gardens, large sitting porch, deck, patio, 2.5 car garage, and tons of storage. Truly a must see. Offered by Colorado Landmark Realtors.